Lights, camera, strike a pose with this darling. Gentle dark gold "RR" RIONI monogram print on solid brown designer canvas body. Dual leather handles and trim. 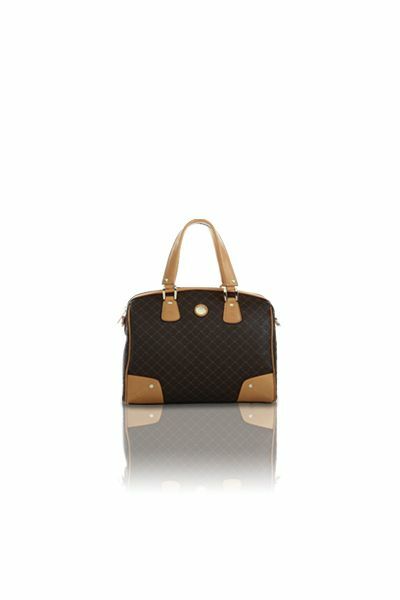 Features gold hardware and an embossed RIONI Moda Italia emblem. Top zip closure with interior hooks for side cinching. Dark brown fabric RIONI monogram print lining. 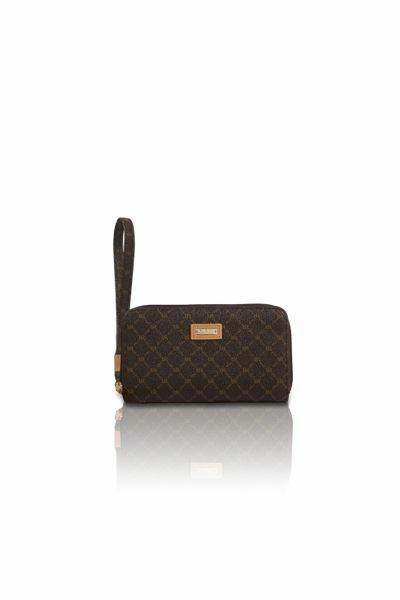 Interior contains a cell phone pouch, a pouch pocket, and a side zippered pocket. Comes with a detachable shoulder strap.